Since I first began running in high school, Track & Field and Cross Country, I’ve gone through a couple dozen pairs of running shoes, not to mention brands. I remember my first running shoe was made by New Balance. I wore New Balance all through high school, only because I remember my coach preaching that Nike could not give the distance support that I needed. This I believe was partly true at the time. I was running 7-10 miles a day as a distance runner– and I loved my New Balance kicks, but then halfway through college when I stopped running competitively I only needed to change my running shoes out every few months. It was then that I became a die hard Nike fan. It was around the same time I got into wearing Nike dunks. My thought process was why not buy both of my athletic shoes at one place? I’ve definitely had my fair share of uncomfortable, painful running, walking and training shoes. I think every person is 100% different when it comes to what athletic shoe is a good fit. We all have a different form that we run in, our feet are all made differently and we walk different. All of these largely affect how comfortable a shoe is we are wearing. In the past two months I’ve really gotten into these new summer shoes— the Nike Free Runs. I wasn’t going to write a post on them though, until I was sure I loved them. I knew others who wore nothing else, so I took the leap. My new summer shoes? The Nike ‘Free Run+ 3’ 5.0 Running Shoe for Women. To be honest, I didn’t do my research when buying these. I waltzed into Nordstrom’s, asked the sales guy a few questions, saw that they had the shoe in lime green or hot pink, made my selection and handed over my credit card. HOWEVER, I was thinking of buying another pair and wanted to know more about the other shoes before I bought new. After calling Nike, the top three Free Run shoes for both men and women right now are the Nike Free Run 5.0, Nike Free Run V4 and the Nike Free Run 3.0. Below is a quick description of each. Nike also mentioned for the Free Run’s it is best to purchase a half size bigger. 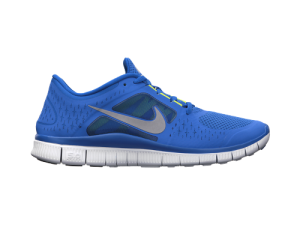 NIKE Free Run 5.0: Thicker, more flexible, cushioned in sole, all terrain suffices, Nike+ capable; track all running, least flexible of the three. 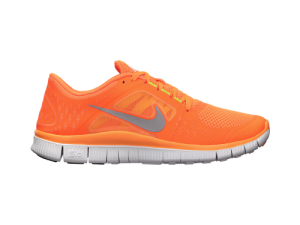 NIKE Free Run V4: Second to thickest of the three, most flexible of the three; can roll up in half without damaging, lightweight. 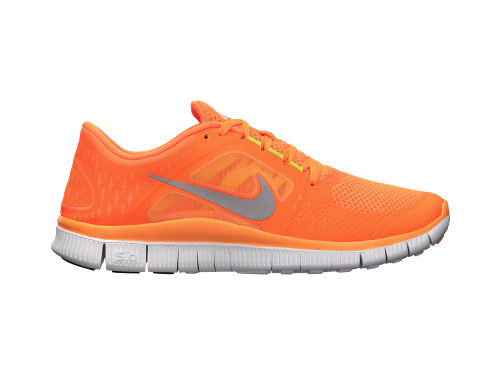 NIKE Free Run 3.0: Most barefoot like feel of the three Nike Free Run’s, does not have NIKE + capability, lower tot he ground. My top picks for men and women are below. On a final note, I have seen hundreds of people in these, and I am convinced it’s truly because they are THE most comfortable running shoe on the market right now. They are worth every penny, and I think a huge part of getting out there and making running or exercise part of your lifestyle when you are my age (mid-twenties) has to do with motivation. For me, having a place to go to, or a set route, and a pair of extremely comfortable shoes does it for me. I am in love with all the bright colors, and that goes for both men and women. As I always say, be different, be fierce.